I have always blithely said I preferred armagnac to cognac – which was really just a knee jerk opinion formed years ago due to one brutal hangover from drinking too much cognac, and then, a few years later having one or two glasses of armagnac one day after a long lunch. Last week I went to cognac. Less than two hours from Bordeaux but a whole different ball game. The grapes are still there, but it is the distilleries, at least at this time of year, that are the stars of the show. The aim was to understand a bit more about the place, and because I have an article to write about their booming sales – 163 million bottles sold in the last 12 months from October 06 to October 07. 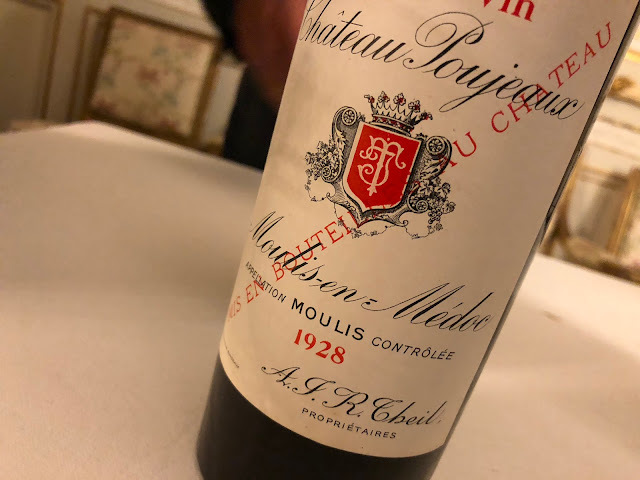 The most ever since the appellation was founded in 1939. Two distillery visits were organised by the BNIC – the local cognac board. The first was to Ragnaud-Sabourin, a small family owned operation near Segonzac and the second to Frapin, also family owned, but on a bigger scale, in the same area. Both are owner/distillers with vineyards in the prestigious Grande Champagne Premier Cru area. Frapin is the largest single owner in the area, with 216 hectares of grapes, while Ragnaud-Sabourin has 50 hectares. The explanation of the inner workings of the still at Ragnaud-Sabourin was detailed and impressive – or at least I thought so, but then again I have never seen one before. Favourite Christmas present from here would be a bottle of Paradis which has 90% cognac from the early 1900’s, and 10% pre-phylloxera cognac - before 1870. I didn’t taste it but the story was good enough to vaguely imagine spending 660 euro. That was, at least, until I tasted pure 1870 cognac at Frapin’s, hauled up out of a hessian-covered demi-john in a thing that looked like an old test tube. It tasted very strange. And very, very good. I still have the empty glass and I can still smell it. There was a lot of talk about old leather and rancio – that desirable blue cheese type smell you get off very good, very old cognacs. For me it was all about old libraries, dusty paper, a vague metallic inkiness and that pre-exam awareness that all this might be snatched away simply by failing. But whatever about the taste, the old Frapin 1870 was great for the mood – turning a straightforward, rainy afternoon tasting, into an impromptu bonding session, with war stories and childhood memories all over the shop. And that was just as a result of smelling it. I have yet to see something like that happen at a Bordeaux wine tasting.